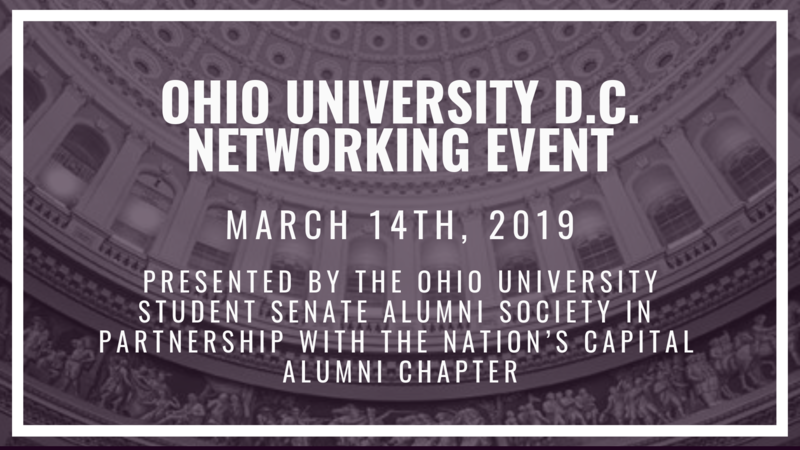 The Ohio University Student Senate Alumni Society, in partnership with the Nation's Capital Chapter of the OHIO Alumni Association, are proud to host our 2nd Spring DC Networking Event. The event will be held at the waterfront rooftop terrace of Officina, located at the Wharf DC, and will include food, drinks, and a short keynote by distinguished Ohio University alumnus Wesley Lowery! There is no online registration fee for the event, but we will be collecting an optional $10 cover charge at the door. This cover will go directly to the Student Senate Leadership Fund, which provides students with the means to continue their educational experience through workshops, round tables, and crucial networking opportunities. We also ask that you take a moment to RSVP by clicking the link below if you plan to join.